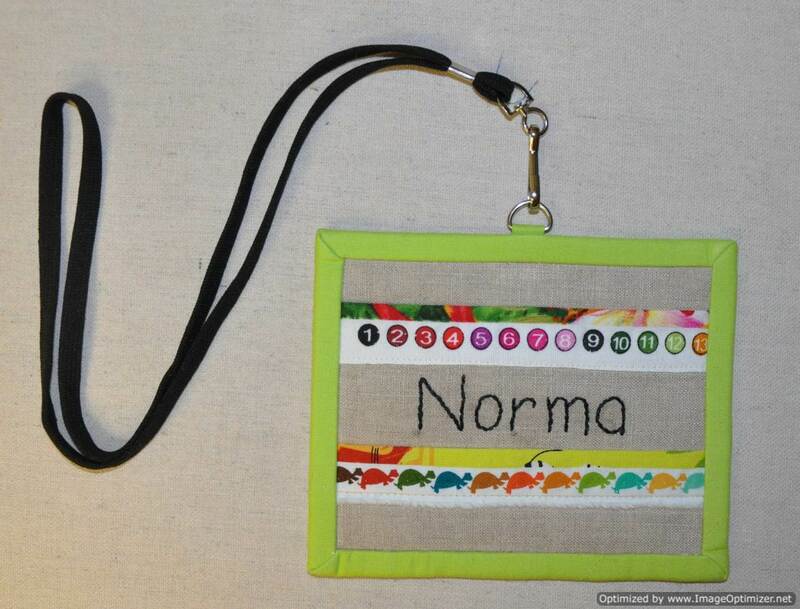 My first finish for 2018 was a new name tag for guild meetings. Our guild’s January challenge was to make a new name tag. 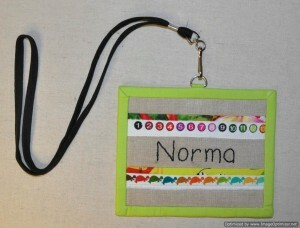 I was so pleased tonight to have my name tag finished and ready to go. However, I was not able to head out to the guild meeting tonight because of a severe winter storm. I used a background of linen on which I embroidered my name. I used some colourful selvages to add some interest and bound it with my favorite colour – lime green. Hopefully the weather cooperates for the February meeting! This entry was posted in 1st finish, name tag by Norma Hanson. Bookmark the permalink.